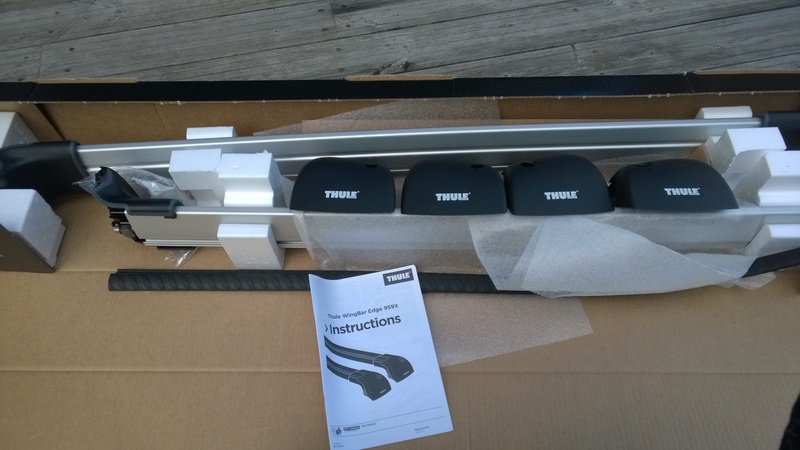 I believe that the 9-5NG SportCombi really delivers on these premises and while the “…ample roominess…” element is definitely also true, I wanted to put the “…versatility for independent minded people who live an active and demanding lifestyle…” into practice. 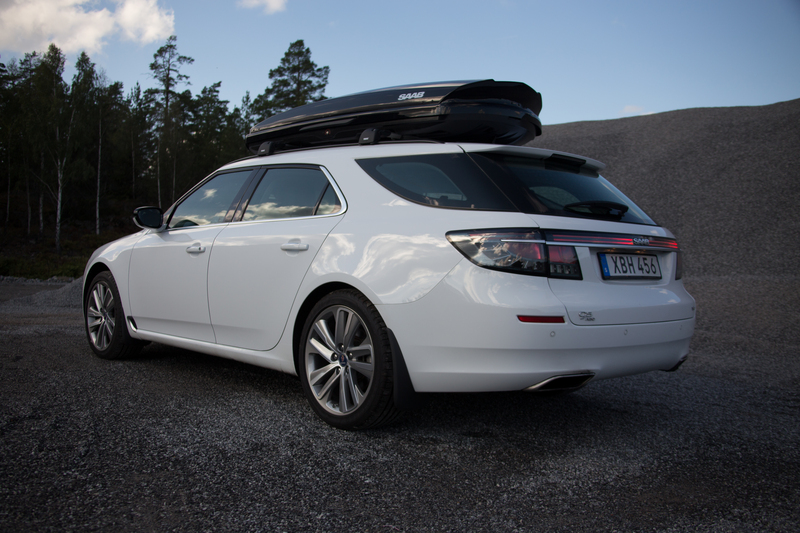 In practical terms: I wanted to complete my car with a matching roof box. 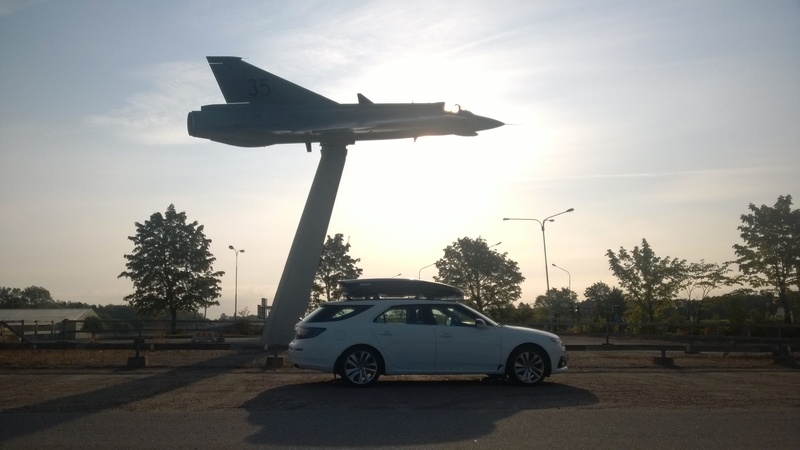 Step one I had already taken in October 2012 when I actually bought the last Saab-branded “Dynamic 900” roof box from ANA in Trollhättan, but getting it fitted to the SportCombi was the next challenge. 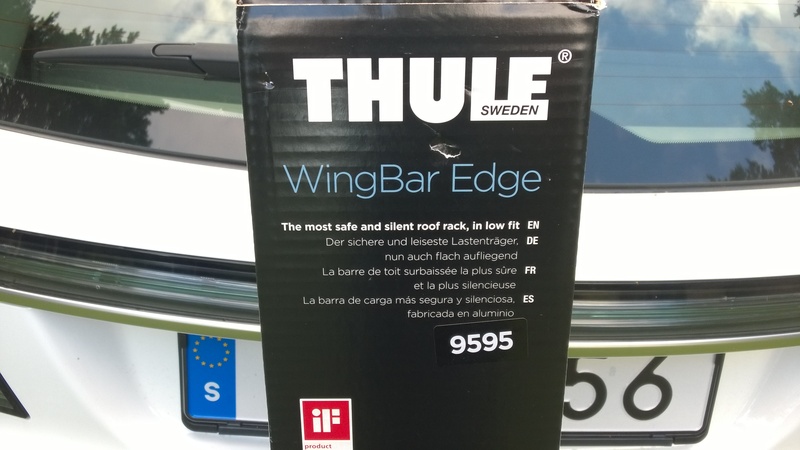 Under normal circumstances a matching roof rack would have been an easy order to place with any Saab dealer, but obviously in this case finding a Saab-branded one was kind of impossible (although I know the proud owner of “#10” has a set…), so I ended up with the second best option: the Thule Wingbar Edge. 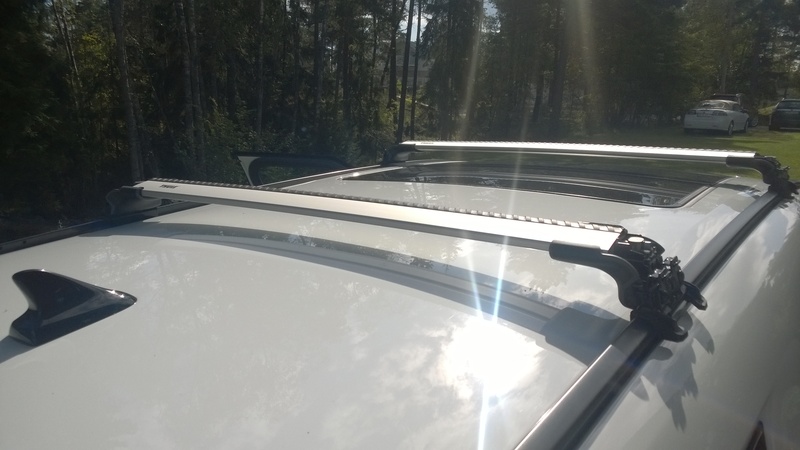 Fitting it (with the additional “flush rail kit 4012”) was easy and I was impressed with the design, especially the fact that it sits so close to the roof while keeping enough distance to the sun roof to be able to still open it. 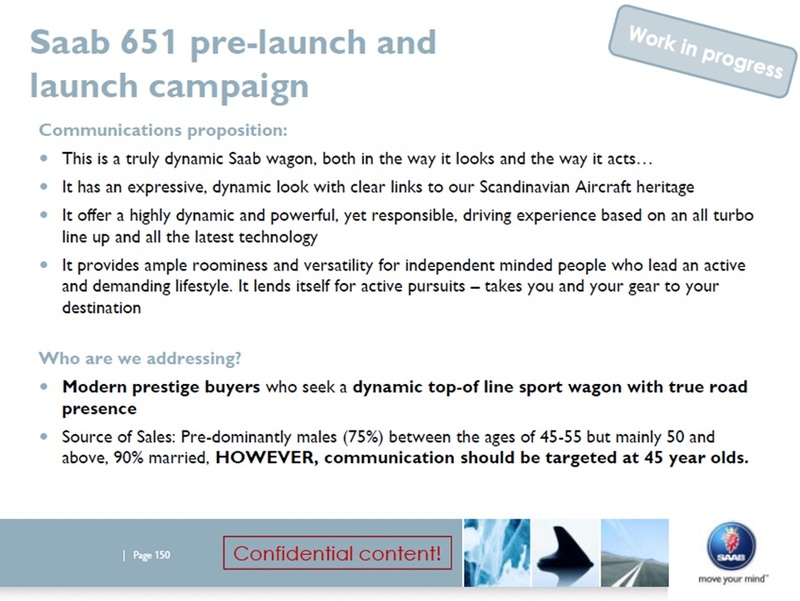 Versatility for independent minded people!